For solar users who want to connect to shore power when available, the Renogy 3000W Pure Sine Wave Inverter Charger is the perfect component to complete your system. 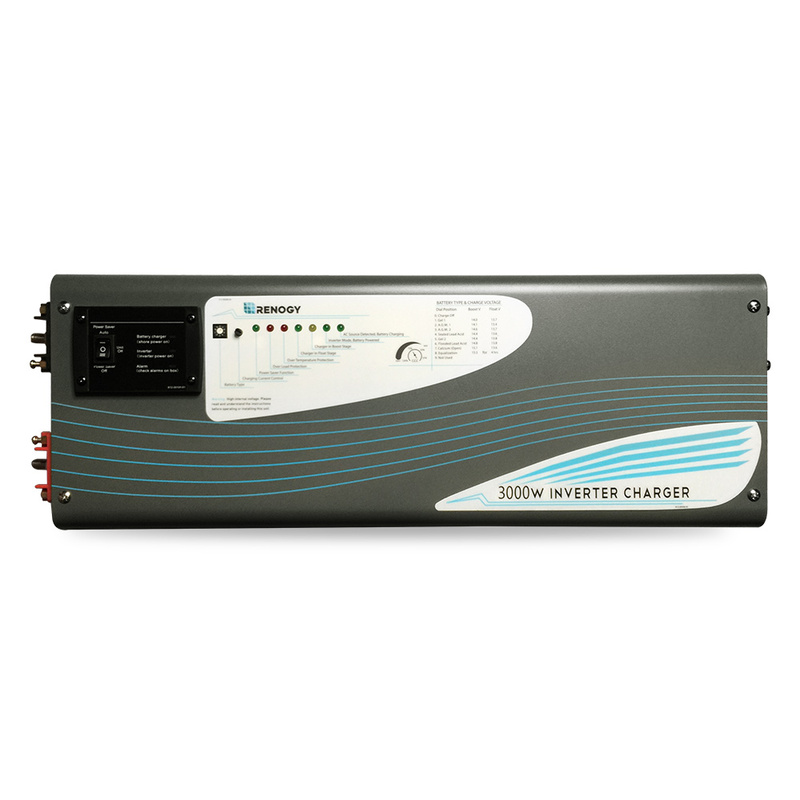 Like most inverters, the Renogy inverter charger converts DC power to AC power for household appliance use. Unlike regular inverters, power inverter chargers can also charge and maintain a battery bank when connected to shore power. Essentially acting as a battery charger and inverter all-in-one, this allows users to travel with ease, using shore power to charge batteries and power devices on rainy days with no sun in sight.